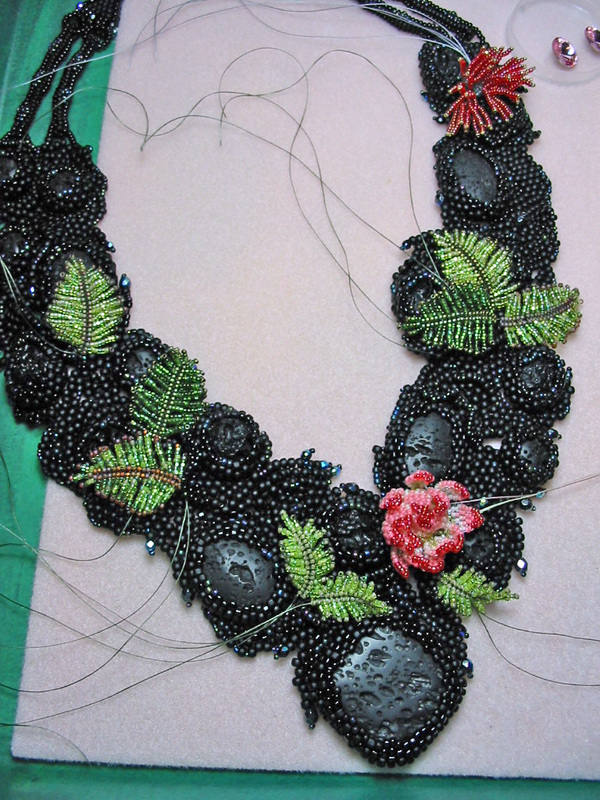 I've been beading more little ferns tonight and here's a pic of them displayed on the necklace. There's nothing attached to it yet. I'm waiting to have all the embellishments done before deciding on the placement. Holy cow Saby, that is BEAUTIFUL!!! It's coming along very nicely.